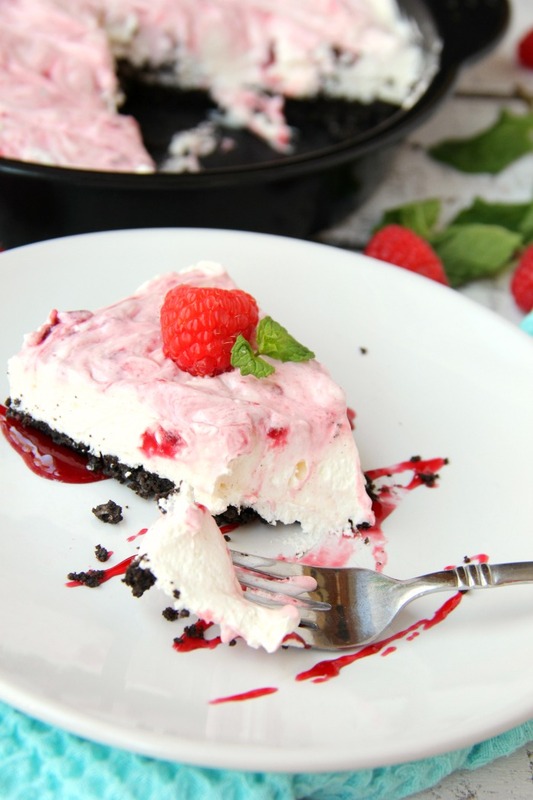 Swirled Raspberry Cheesecake – A fluffy Oreo-crust no-bake cheesecake with decadent raspberry swirls throughout. So light and delicious! This past weekend the kids worked on writing out their Valentines for their classes, and Josh and I made some progress packing for our cruise. We leave this weekend! This week will certainly be a busy one! 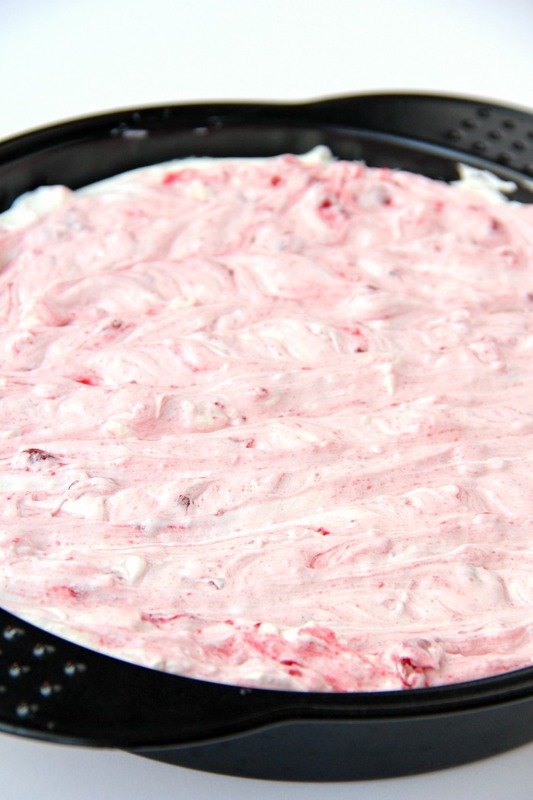 With Valentine’s Day just a couple days away, I just had to share this recipe for Swirled Raspberry Cheesecake! 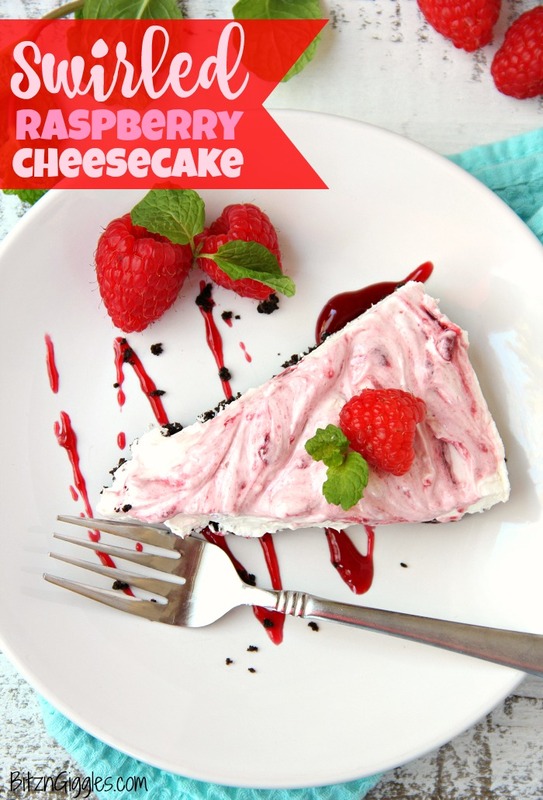 This is a no-bake cheesecake, so it comes together quickly and simply. 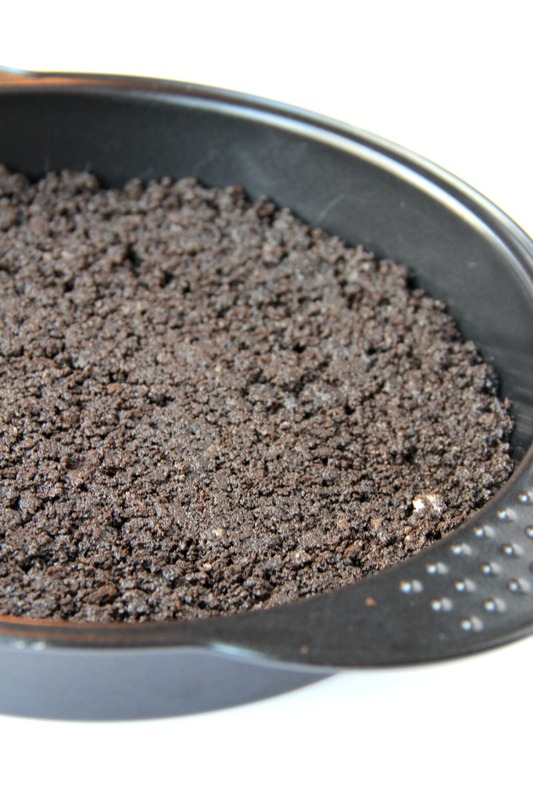 It starts with an Oreo crust. 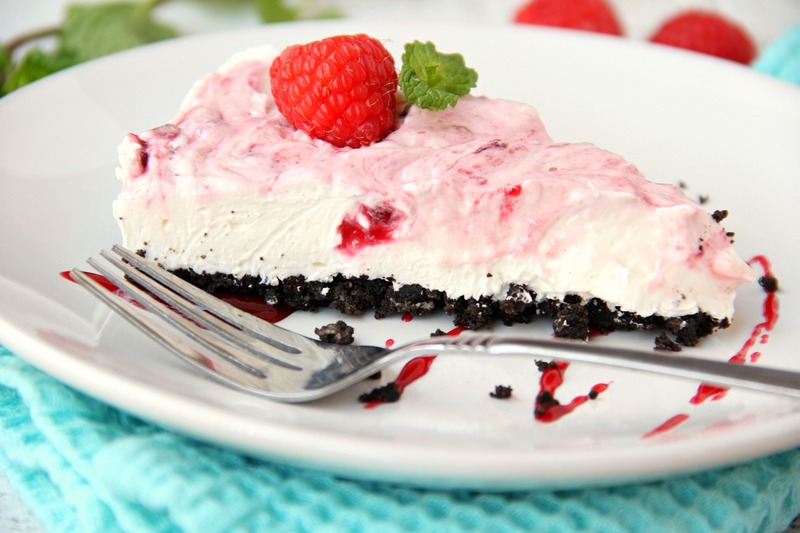 You can’t get much better than an Oreo crust, am I right? 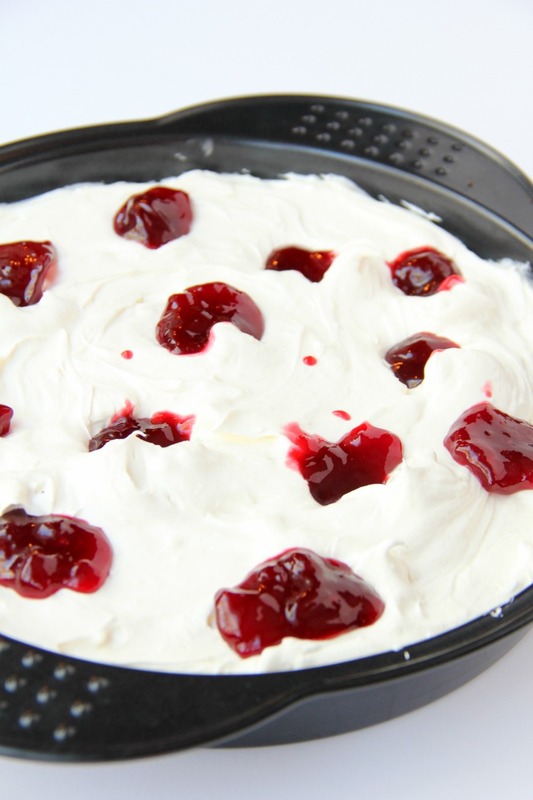 In the cream cheese layer, you start making holes to place spoonfuls of raspberry jam. In my opinion, this is what makes the cake! Then you gently swirl the jam with a knife. 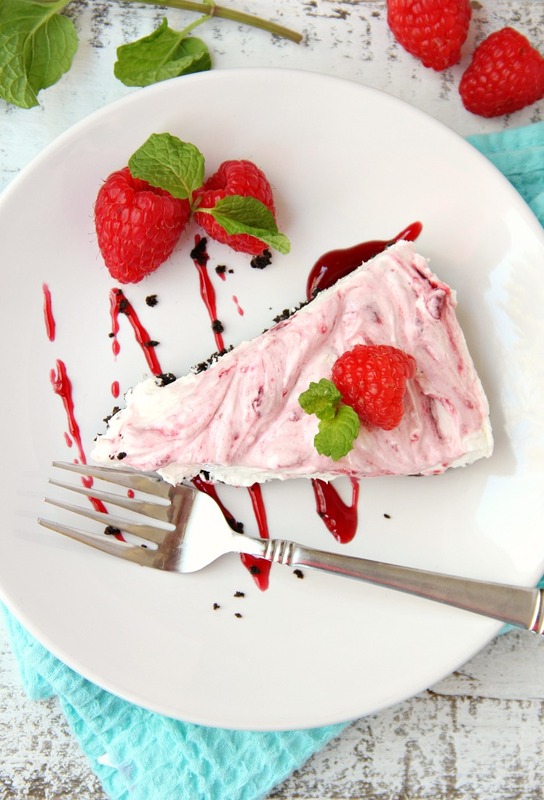 Once you decorate the plate with a little more jam and garnish the pieces of cheesecake with raspberries and mint leaves, it all starts looking quite beautiful. You kind of just want to dig right in. It’s cool, it’s fluffy, it’s delicious – it’s perfect to share with that special someone. 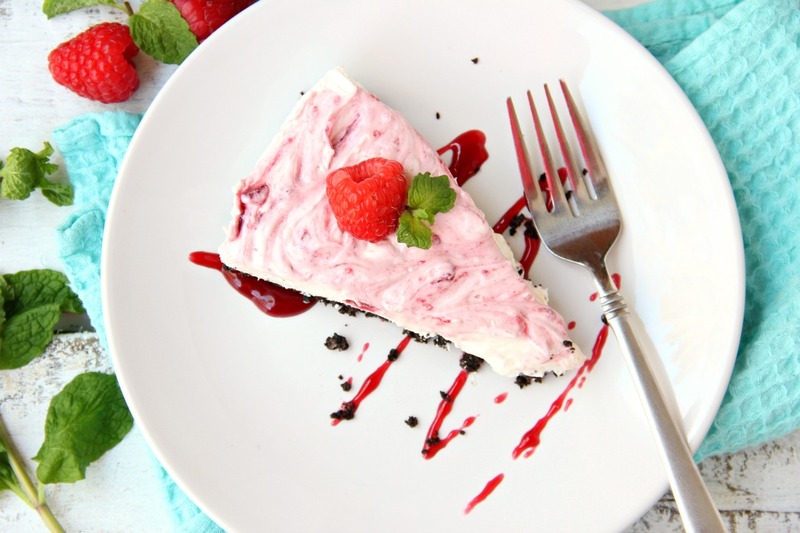 See how the jam shows on the side of the cheesecake? I love the little bursts of raspberry throughout the cake. I love that the ingredients and prep are simple. 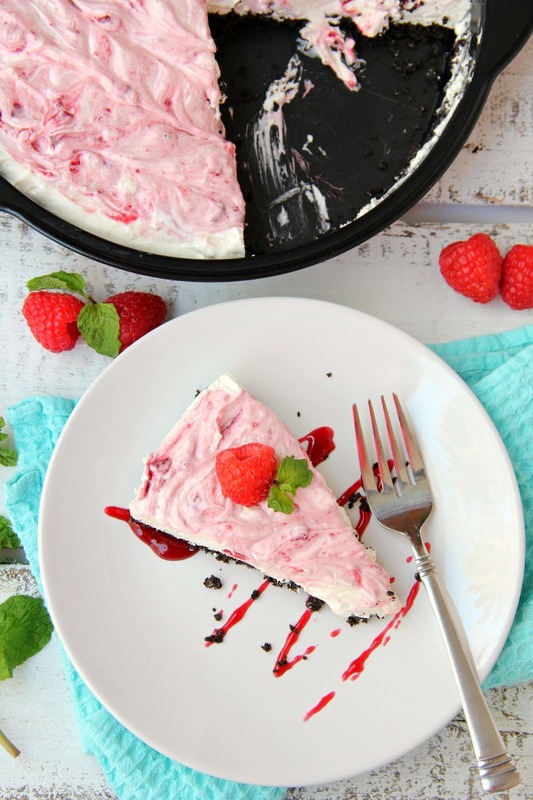 A fluffy Oreo-crust cheesecake with decadent raspberry swirls. In a medium bowl, mix crushed cookies and butter. Press into the bottom of 8-inch baking dish; refrigerate. With an electric mixer, beat cream cheese, powdered sugar, vanilla and lemon juice. Mix in whipped topping with spoon. Make holes throughout cheesecake (I used the end of a wooden spoon); place jam in holes. Gently swirl jam with a knife. Refrigerate cheesecake for at least 2 hours. Garnish with mint leaves and raspberries before serving, if desired. To crush the cookies, place cookies in food processor or put them in a plastic bag and crush them with a rolling pin until finely crushed. You should try it, Jo-Anne! !